Having spent 15 years as a police officer, I decided to open a bridal shop as a result of the bad experiences I had when choosing my own wedding gown. 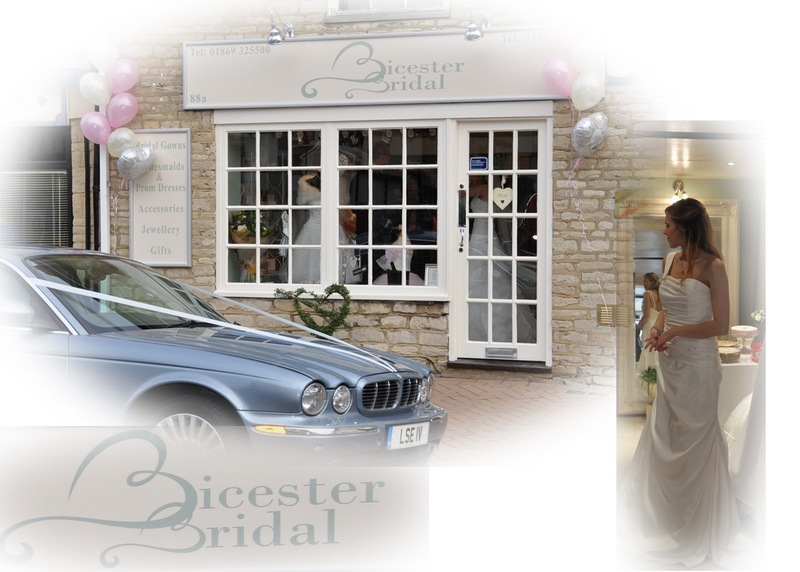 I also noticed that as a rapidly growing market town, there were no other bridal shops here in Bicester at the time, therefore providing a perfect ‘gap in the market’. 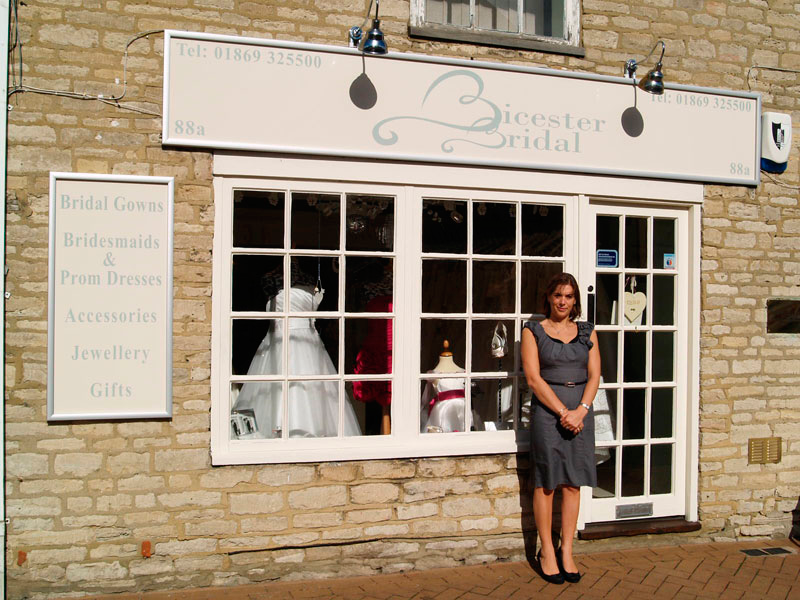 I spent a year looking for the perfect premises and choosing my designers before opening the doors to Bicester Bridal on 5th November last year. I work alongside my sister Suzanne and between us we are responsible for choosing stock (along with our mum – to cover a broad spectrum of tastes! 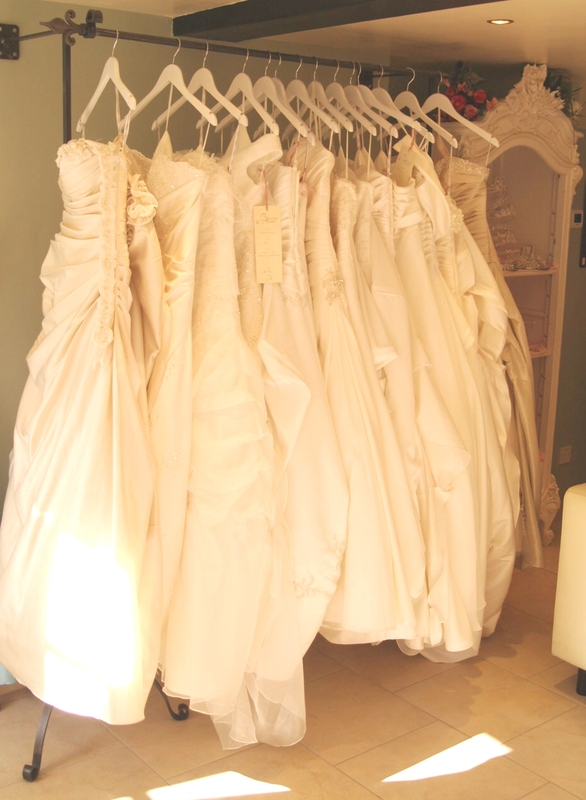 ), looking after our lovely brides and providing expert advice and tips on all aspects of planning a wedding. Do you remember your first Bride? Yes!! Unfortunately I will never forget her either!! Luckily our other customers have been much easier to work with and we felt that having coped with our first bride, we could cope with anything! What is your greatest achievement in your first year of business? To successfully make it to our year anniversary, and to have had so many thank you cards, flowers, wedding invites, bottles of wine and amazing written testimonials from our brides. Customer service is paramount to us, and it has paid off! We had a 2 day party event in the shop, with a Make-Up demonstration one day by the amazing Anna Ashfield and a very informative presentation on the other by the lovely Michele Paradise aka The Bridal Coach. We gave away free bubbly to all of our customers along with yummy miniature, jam-filled cupcakes made by Yvonne David of Events Cakes in Thame. We also offered 10% off all orders over the weekend and gave fabulous goody bags to the brides-to-be including details of other bridal suppliers, sweets, chocolates, Clarins mini-treats, guest soaps by Littlecote Soap Co and money-off vouchers..we had a very successful weekend! How did you get to know ‘The Bridal Coach’? A ‘friend of a friend’ put me in touch with The Bridal Coach and we initially exchanged emails introducing ourselves. I then saw her fantastic presentation at a wedding fair in Poundon House last year where I heard all of her handy tips and advice and knew I should persuade her to come to my shop for a special occasion…luckily she happily agreed! I now have her Bridal Coach DVD and Bridal Survival kits for sale in my shop which are essential purchases for any bride planning her special day! What are your key tips for Brides when choosing their dresses? Don’t take too many people to help you choose your dress!!!! We so often see brides confused because of mixed opinions on a dress…Everyone will see the dress differently and will have very different tastes. Take one or two trusted friends or family members, and let it be a surprise for everybody else! 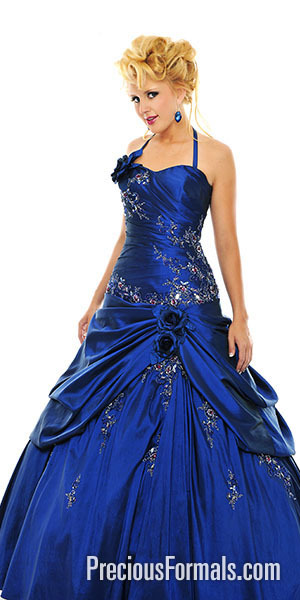 Don’t have a set idea of the dress that you think is ‘The One’. Let staff guide you as to which styles will suit you best…we have the benefit of knowing body shapes, and having seen what the dress looks like on. Our best selling dress is one that we have to almost force the girls into! Do you have any current special offers for Ice the Cake readers? How do Brides book an appointment with you?